My father died suddenly almost five years ago. As it is for everyone who loses someone they love, I was devastated. It’s impossible to describe a loved one to others–to capture the special qualities that make their absence so profoundly felt–so all I’ll say about my father is that he epitomized that old saying: Any man can be a father, but it takes a special man to be a daddy. My dad was a very special man. After his death, the profound weight of grief settled on my shoulders and wrapped around my spine, refusing to let go. Breathing was difficult. Prayer left me more drained as I grappled with my anger at losing our family patriarch so unexpectedly and early in his life. Mothering and remaining a partner to my husband felt like play-acting sometimes, as I tried to be brave in the face of my shattered grasp on what my life now was. I’d never known a life without my father. Words have always been a place of solace for me, but during that turbulent time my own writing became splintered, as though I couldn’t hold a full thought inside my mind (which, in fact, is exactly how I felt). Instead, a trip to my local library proved the proverbial window that opens when a door closes. Ultimately, three authors guided me through and out of my grief. I’m sharing them below, in hopes that they might offer similar comfort to you in a time of great struggle. In my writing career I think it is well-established that I am an adoring fan of P.D. 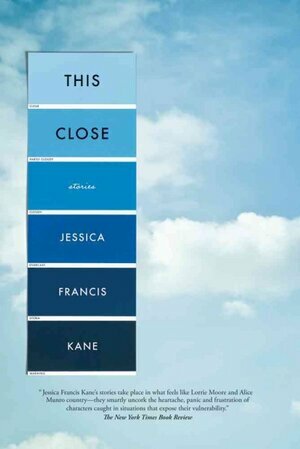 James’s entire catalogue. What may not be as well known is when my affinity for her work began. My library has a stack of shelves at its entrance that features new books and recommendations from its resident librarians. In the first month or two after losing my father, I stumbled into the library in search of some piece of mind between work and bus stop duty for my children. The cover of this book caught the corner of my eye as I rushed past: Pemberley! Scarves! My heart gave an encouraging flutter. Who is this P.D. James? I took the book home and devoured it in two days. For the first time since losing my dad, I felt fully distracted from my grief while reading it. James’s prose and her intricate plotting, along with the setting of the story in the familiar and beloved environs of Austen’s Pemberley, allowed the hole in my heart to, though not be filled, at least be swaddled for a time from the crushing pulse of life moving on without my father. I quickly went on to the read James’s other mysteries, including her stand alone novels and her series featuring Det. Adam Dalgliesh. Discovering that she was widowed early in her life and began writing as a relatively young single mother only further confirmed the power of her writing over my grief: She had lost and yet survived. 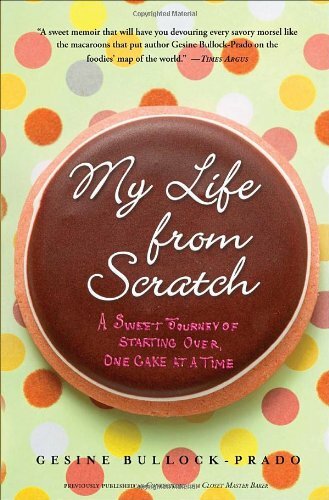 She had come through and so would I.
Gesine’s memoir of losing her mother, leaving Hollywood, and moving to Vermont to start her own bakery offers a very different style from James–one that is informal, humorous, and self-deprecating at times–but which is equally perceptive and razor-sharp in its prose. This memoir describes several phases in Gesine’s life, but the universal thread tying them all together is her love for her mother and her struggle to come to terms with her death. For Gesine, baking became an outlet for her mourning, and for each chapter of her book she offers tried and true recipes from her eponymous bakery (now shuttered in order for Gesine to focus on writing her exquisite cookbooks). After I finished the book, it remained in my kitchen (and resides there to this day) as I tried out each and every recipe from the book. Sinking my fingers into a mixture of flour, sugar, and butter as I knead together pie crust, or sift flour and salt together in preparation for a cake, I entirely understand the healing powers of baking. In a world where events often are inexplicable, the certainty that you will have a tender cake after whipping butter and sugar until 3x its original size is something to hold onto. I discovered The Report by chance walking through the displays at my local book store and picked it up because of the intriguing cover. On the surface, it might seem strange to find comfort from a writer whose self-proclaimed interests lie separate from “happy” fiction, but digging deeper it would hopefully become obvious how Kane’s capacity for bringing witness to the small frailties of life, and how one can reconcile with them, would bring solace to any reader, especially one at the loose ends of grief. 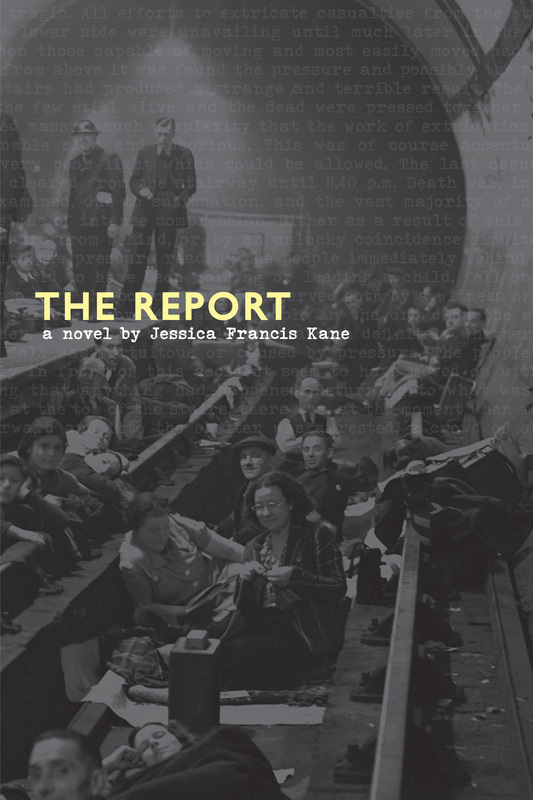 The Report, set in the bomb shelters of WWII London, chronicles a tragic series of events, and the subsequent choices made by their participants, that forces the reader to question whether actions can be right without being moral. Kane is a highly calibrated craftsman of words (reminiscent of Amy Hempel) and I continue to find great satisfaction in her short stories, published in her collection This Close. By examining the dark selfishness in all of us, she also reveals our shared humanity as we struggle to overcome it.